AAA Awards Alliance Environmental Group! I sat down with Orange County Branch Manager Jimmy Nguyen to find out more. Alliance Environmental Group was one of only four vendors recognized at the recent award ceremony for Outstanding/Legendary Service. Two vendors came from the Los Angeles area and two from the San Diego area. Usually the AAA awards are reserved for the auto side of AAA insurance and 30 automobile shops from LA to San Diego were also recognized for their outstanding customer service. 2012 also marks the first year that AAA included home owners insurance vendors in their awards. Corporate officers were there to present awards to both auto and home owners insurance vendors. 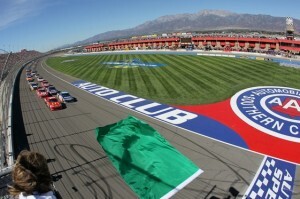 The award ceremony was held at the Auto Club Fontana Speedway. We were treated to a lovely buffet lunch and then the real fun began! 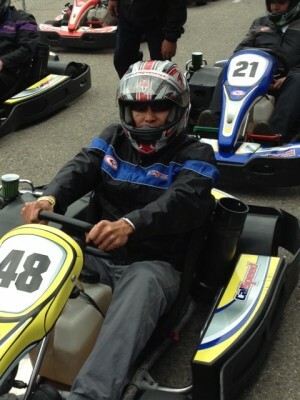 All of the recognized vendors were given the opportunity to drive high performance go carts on an actual race track! Not the NASCAR track, but still! Alliance Environmental Group would like to congratulate fellow award recipients Oakwood Construction (LA), ESN Restoration Services (San Diego), and Triskell Restoration (San Diego) for their Outstanding Service!